More than three quarters of people with schizophrenia or bipolar disorder admit to sometimes not following treatment recommendations, with 54% reporting that they do this intentionally, a small-scale survey has found. The study also found that 29% of respondents were happy with not following their recommended treatment regimes. Of those deliberately doing something different to what is recommended, 63% were likely to take less medication than prescribed and specified side-effects as the main reason for this. These findings, published in the journal BMC Psychiatry, are based on the ‘Understanding Service User Treatment Choices’ study carried out by mental health charity SANE and funded by pharmaceutical firm Janssen, which surveyed 41 people diagnosed with schizophrenia or bipolar disorder and 10 clinicians. The majority of people surveyed had realistic expectations about the outcomes of not taking their medication as prescribed, and highlighted the need for strategies to support people with serious mental illness, so that they can make choices that maximise the benefit of their treatments. Previous research by Munro et al (2011) has shown that people with schizophrenia not taking their medication as prescribed is a factor in up to 76% of relapses and 50% of people with schizophrenia admitted to hospital are non-adherent to medication (Morken et al, 2008). • To make clinical support more readily available, for example, so that the timescale for appointments matches more closely service users’ needs in making on-going treatment choices. Marjorie Wallace, founder and chief executive of SANE, said: “Research highlights the critical role medication plays in the treatment of schizophrenia and bipolar disorder by preventing relapse and the need for hospital admission. This study reveals that over half of the patients involved were not taking their medication as prescribed, for understandable reasons which included concerns about side effects and the wish to discontinue at times when feeling better. Gibson et al (2013) Understanding treatment non-adherence in schizophrenia and bipolar disorder: a survey of what service users do and why. BMC Psychiatry 13 153. 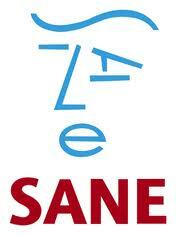 Munro et al (2011) Hospital treatment and management in relapse of schizophrenia in the UK: associated costs. The Psychiatrist 35 95-100. Morken G et al (2008) Non-adherence to antipsychotic medication, relapse and rehospitalisation in recent-onset schizophrenia. BMC Psychiatry 8 32.